Our 50 Litre E-Cube Series is a popular choice of kitchen pedal bin. It is rectangular with an inner bucket making it easy to change the bag and keep clean. The outside likewise is easy to keep clean being fingerprint and smear proof. The E-Cube bin contains an odour absorber rack and a 'Stay Open' switch. 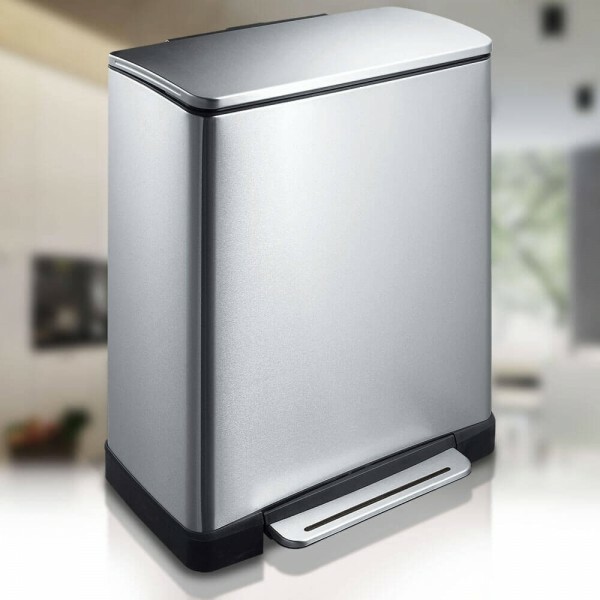 The 50L E-Cube is a sturdy and stylish bin; ideal for kitchens or bathrooms. The stylish modern design works well for any style of décor and it also comes in a range of colours. The 50L E-Cube is practically designed for home use and will last for many many years. The bin has a sturdy and innovatively designed pedal activation and contains a hardened ABS container which is easily removed for cleaning. This bin is a stylish addition to any kitchen or workplace.